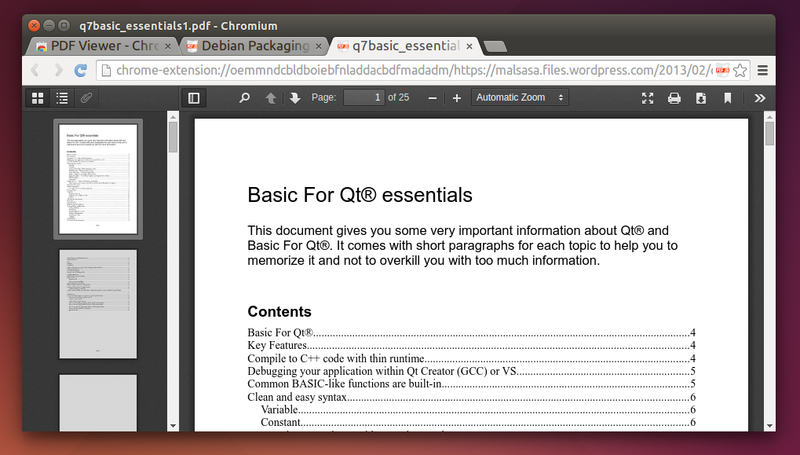 Now you can read PDF directly inside Google Chrome or Chromium. It is just same with Firefox built-in PDF reader. To get it, you need to install a Chrome extension named PDF Viewer. This extension created by Rob Wu and friends. This extension is available in Chrome Web Store. The development page of PDF Viewer is on Github (if you want to contribute). This extension is compatible both in Chromium or Google Chrome. You do not need to wait Okular or Evince in Linux to has multitab support. 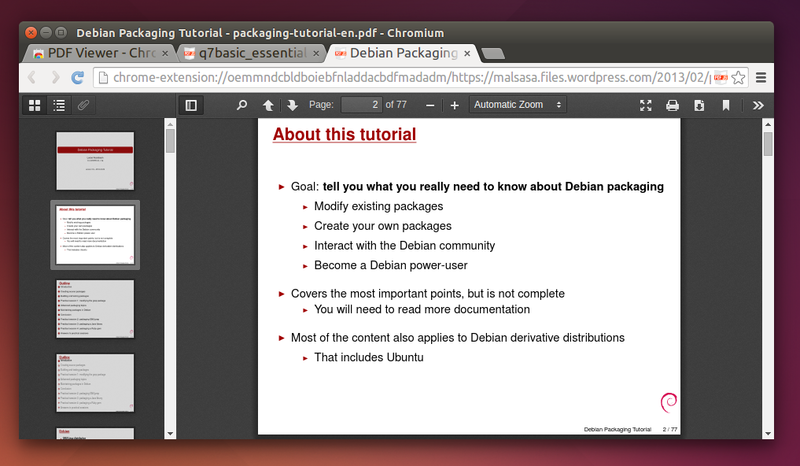 You get a multitab PDF reader in Linux just same as Foxit PDF Reader in Windows. You just read any PDF on the net inside Chromium, no redundant work. You can read any PDF when you are offline. Open the PDF Viewer store page. Click Add To Chrome button. Try to open any PDF link or open PDF from your files.